Opening our doors for the first time in the Summer of 1982, our family was still new to United Kingdom, pursuing the London's dream. Now, in 2016, we mark our 34th Anniversary of serving our friends in the Stoke Newington / Hackney area. 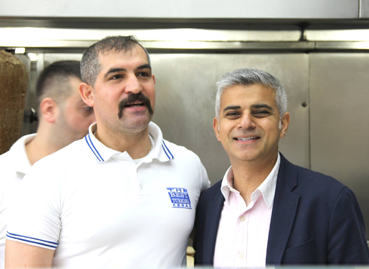 And so we, the The Best Turkish Kebab families would like to say: Thank You all, and hope to see you soon! Nothing beats the kebab quality from here. The staff work so fast paced but get it so right! the best Turkish donner kebab you can have in London. Don't waste your time looking anywhere else!